Stock up for Christmas! We think everyone should have their own T/CR22, and we have lowered the price on them AGAIN for our BLACK FRIDAY SALE! T/C is also offering a $50 REBATE on the T/CR22! After the rebate, that brings the final cost down to $249!!! We're also offering extra magazines for the T/CR22, and they are offered at a discount when ordered together. We are pleased to announce that we are now stocking laminate stocksets and barrels that are compatible with both the T/CR22 and the Ruger 10/22. We are stocking the Yukon stockset in Coffee and the Trailblazer stockset in Bone Gray in both Right Hand and Left Hand configurations. As always, you can order the special order color options in the Trailblazer or Yukon stocksets as well. We are also offering Stainless Steel and Blued barrels in 16.5", 18" and 20" options. 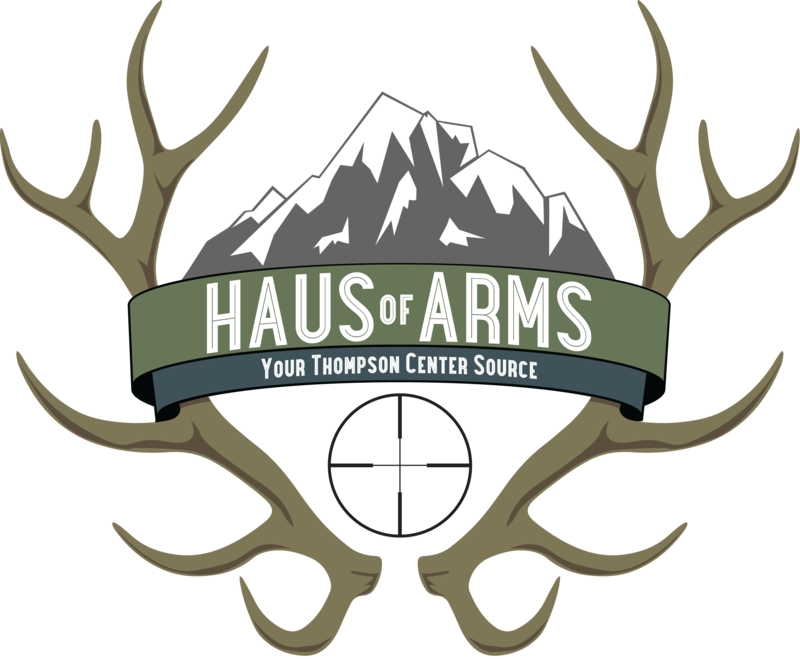 MATCH GRADE MACHINE/HAUSOFARMS BARRELS ON SALE! We are offering a $10 discount on ALL in stock MGM Barrels while supplies last! ENCORE REVOLUTION STOCKSETS ON SALE! We are offering a $10 discount on Encore Stocksets in two of our most popular colors: Coffee and Woodland Camo! This offer is only available on Encore Coffee and Woodland Camo while supplies last! G1 CONTENDER REVOLUTION BUCKSKIN STOCKSETS ON SALE! We are offering a $10 discount on our G1 Contender Revolution Buckskin Stocksets! This offer is only available on G1 Contender Buckskin Stocksets while supplies last! ALL JUNIOR LAMINATE BUTTSTOCKS ON SALE! We are offering a $10 discount on all in stock Junior Laminate Buttstocks in the Encore, G2, and Contender platforms! This offer is only available on in stock Junior Laminate Buttstocks while supplies last! ALL CRUSHER LOOP AND AMBI GRIP SETS ON SALE! We are offering a $10 discount on ALL Crusher Loop and Ambi Grip Sets. This includes the Encore, G2, and Contender platforms in all stocked colors. This offer is only available on stocked colors while supplies last. ALL OEM ENCORE GRIP SETS ON SALE! We are offering a $10 discount on ALL OEM ENCORE GRIP SETS in our custom colors! This offer is only available on in stock colors while supplies last. ALL CUSTOM DIPPED STOCKSETS ON SALE! This offer is only available on in stock dipped stocksets while supplies last. This is a special week for the HausOfArms family. Our family is growing by two as Eric and his two daughters welcome Krystal and her son into our family. While we will still be taking orders on HausofArms.com, we will not be answering the phone on Friday, October 19th.